Hi! We are “Kimono Dreamers”. Thank you for visiting our web site. We are all enthusiasts for kimonos. 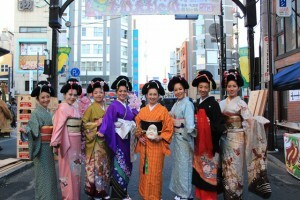 Kimonos are Japanese traditional clothes and plays important part of Japanese culture. Besides we offer a wide range of cultural events, e.g. going out to the old part of Tokyo in kimonos, taking place parties and dressing you up like a Japanese princess. Do you think that you must wear the kimono very formal? We translate complicate “kimono rules” into casual way so you can get into the habit of wearing kimonos. 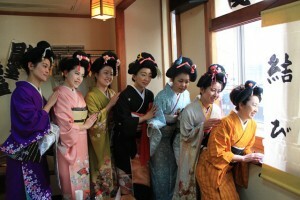 We put our effort into increasing of “kimono population” as an aim! It is all right even if you don’t dress kimonos by yourself. How about joining our events as your first experience of kimonos ? Let’s get together through “kimono” and involve you in Japanese culture!